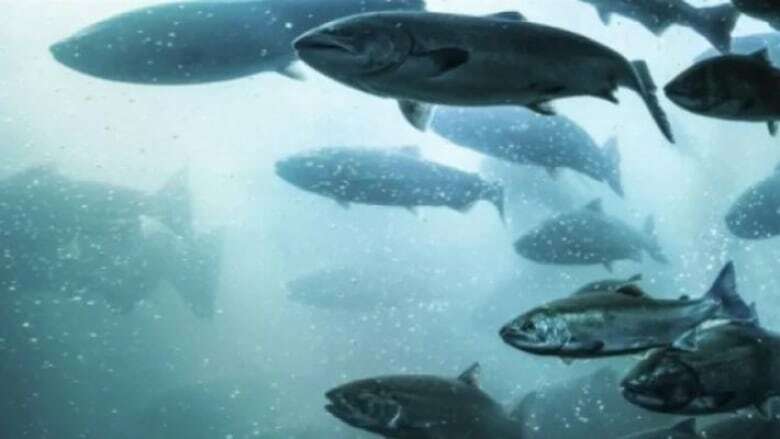 Cooke Aquaculture plans to build a major salmon farm in Bayside that would see the fish spending more time on land before being transferred to the ocean. The $30-million operation on the St. Croix River would grow salmon to 300 grams before sending them to marine pens by boat. Under the present system, salmon are transferred to ocean pens at 120 grams. More time on land means healthier, stronger fish, and the operation's site will mean less handling, said Joel Richardson, the vice-president of public relations for Cooke Aquaculture. Farmed salmon already spend 18 to 20 months on land. It takes about three years to grow them. The Bayside operation would transfer the salmon to sea farms by well-boat, which is a boat with a large aquarium on it. Reduced handling and more time to grow before being released into the sea pens will give the fish a higher survival rate, Richardson said. Planning is still in the early stages and Richardson said the company hasn't registered for an environmental impact assessment yet. The facility would use water-recirculating technology that would use "significantly less" water than traditional systems. he said. "It would be the most advanced aquaculture facility in the country," Richardson said. The company also plans to expand an existing hatchery near Pennfield. These expansions are part of the company's overall Pan-Atlantic capital investment plan to spend $500 million in Atlantic Canada over the next five years.